Leading the pack in comfort. 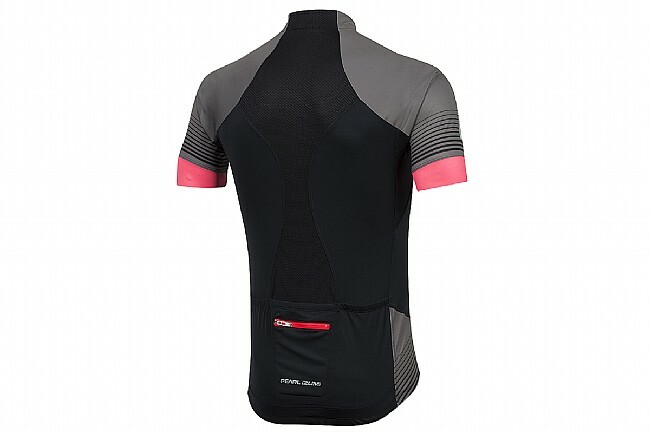 With this high performance jersey, Pearl Izumi took their cutting-edge fabrics and tuned them for comfort for the P.R.O. 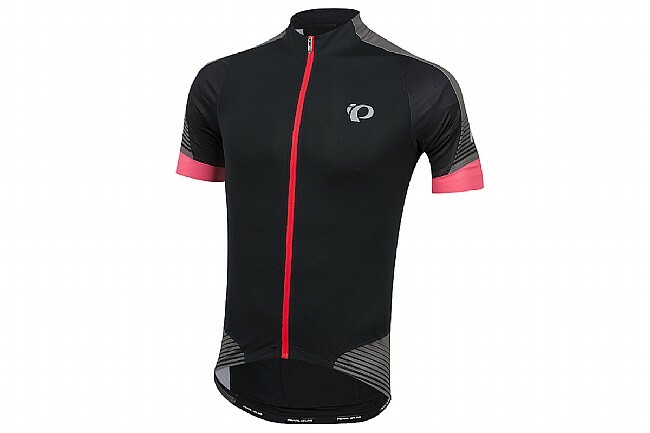 Pursuit Leader Jersey. Starting with the body, their P.R.O. Transfer In-R-Cool fabric rapidly wicks moisture away from the skin, while Coolplus technology reflects the sun's rays to prevent you from overheating on even the hottest rides. 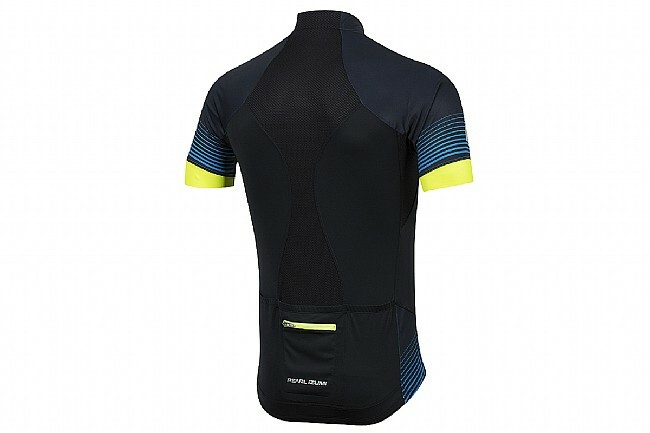 The sleeves use a lightweight blend of stretchy Lycra and breathable polyester, stabilizing the jersey while cooling you down in one. Featuring a race fit, the P.R.O. Pursuit Leader Jersey is form fitting. P.R.O. Transfer In-R-Cool® fabric with Coolplus® for optimal moisture transfer, dry time, and odor absorption. Patented anatomic Speed Sleeve construction. Structural mesh panel on back for pocket support. Three back pockets plus sweat-proof security pocket.